An active lifestyle is a healthy lifestyle. Learn about more ways to get moving. 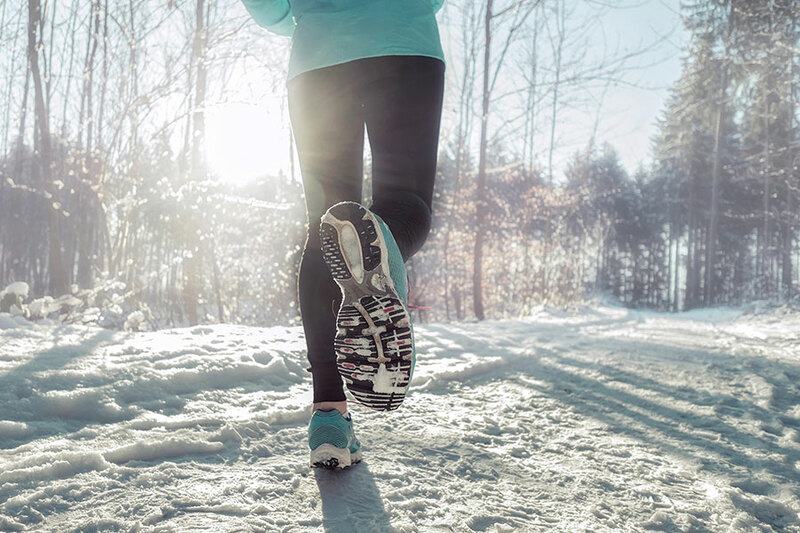 When winter weather keeps us cooped up indoors, exercise may be the last thing on our minds. But even in winter, exercise is important, especially for patients with arthritis. In this cold weather, settling down by the fireplace with a good book might seem more appealing than getting outside and exercising, but that activity is also key to beating the winter blues. Exercise causes our body to release “endorphins,” brain hormones that generally make us feel better. Also getting outdoors during daylight hours increases our vitamin D, which is good for your bones, muscles, and teeth. For most people, a combination of flexibility, aerobic, and strengthening exercises is great, but is especially helpful for those who have arthritis. If the weather is too nasty to get outdoors, don’t let that stop you. Try swimming laps in the pool at your local Y, take a water aerobics class, or take a walk on a treadmill. Even walking inside the mall or a big-box store will do you good. Don't let joint pain keep you from living your best life. Treatment options are available. Regular exercise provides enormous health benefits, including protection against diabetes, obesity, high blood pressure, osteoporosis and fractures, heart disease and more. Exercise helps build endurance, strengthen your muscles, and increase your flexibility, which ultimately will protect your joints. Regular exercise helps your joints function better and move more smoothly with less pain or discomfort. Rubbery cartilage cushions the ends of the bones in our joints. Cartilage doesn’t have a blood supply, so it must get its nutrients from synovial fluid, which also lubricates the joint. Exercise compresses the joints, forcing more of this nutrient-rich fluid into the cartilage, helping it stay healthy. Keeping active can aid in preserving your bones and cartilage. Without exercise, arthritic joints become more stiff and painful, and bones become brittle and susceptible to fractures. Studies have shown that exercising may help patients with mild to moderate arthritis delay hip replacement surgery. Being active helps improve mood. During the winter, this can be especially important, especially for those who might have seasonal affective disorder. Even with exercise and a healthy diet, some individuals may need a joint replacement. At Newport Hospital, we use the Radlink GPS imaging technology during joint replacement procedures. We are the only hospital in Rhode Island to use this digitized X-ray software technology, which allows the surgeon to analyze the size, position and orientation of hip replacement implants. Using real-time images during surgery, Radlink helps ensure more accurate joint placement, a shorter surgery, and faster recovery, and better results for our patients. To learn more about joint replacement, visit our website. Dr. Michael Mason is an orthopedic surgeon with Newport Orthopedics, a Lifespan Physician Group practice. He has more than 20 years of experience in joint replacement and reconstructive surgery, and has designed and been involved in the development of multiple artificial joints. Joint pain does not need to slow you down.